Annual Wellness Exams Keep Your Cat Healthy! Tri-County Animal Hospital has many years of experience in helping you care for your family’s adult cat. The best way to keep them healthy and assure a longer and highest quality of life is by bringing him or her to us for annual wellness exams. Wellness exams play a critical role in the early detection of any future health issues and are critical for disease prevention. Establishing a health baseline early allows us to measure changes in your cat over time, enabling us to detect the onset of diseases earlier when treatment and prevention are the most effective. 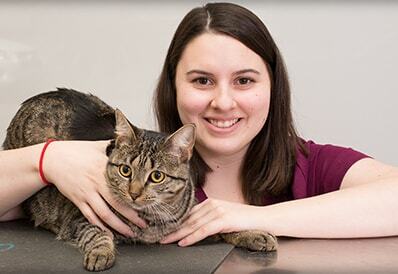 As a Cat Friendly Practice, we have embraced the higher standards of care needed to care for feline family members. We have created a cat-friendly environment within our hospital, where cats do not come into contact with dogs and cats are treated in a soothing, calm manner. A cat friendly hospital means less stress to both you and your kitten when visiting our hospital. All cats are required by law to be given rabies vaccinations. For cats that spend time outdoors, we also recommend medication that will prevent heartworms, fleas and ticks, and intestinal parasites. A discussion with you about your observations at home. Most Importantly, NEVER GIVE medications without direct approval from your veterinarian. Many products that are deemed safe for humans are extremely toxic to pets and can prove to be fatal. If in doubt — Call Our Office first and ask -973-831-2426. Please give us a call today to schedule your cat’s annual wellness exam!